Nice to see my image of a White-collared Manakins (Manacus candei) on the cover of Oecologia. In this issue, Wolfe et al. show that dry El Niño events were associated with strikingly low manakin survival in young forests, while El Niño events had little effect on survival in mature forests. 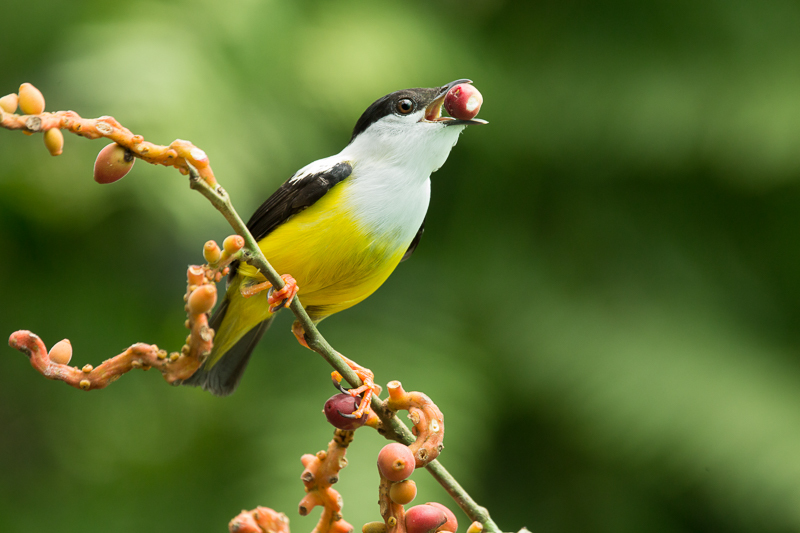 These results suggest that mature forests may serve as refugia for fruit-eating birds during periods of climatic instability.